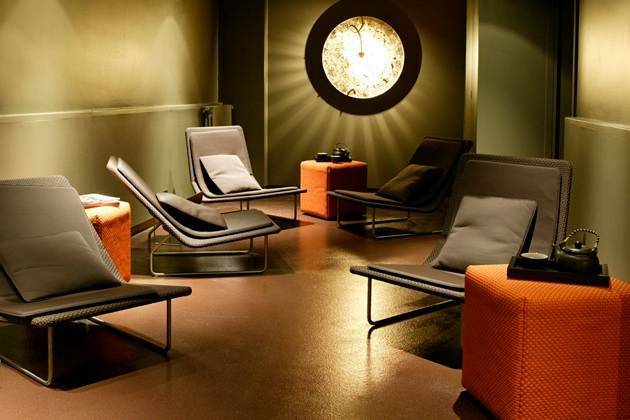 Wellness is an entire lifestyle in Andorra: our spas are located all around the country and offer all the most innovative treatments. You’ll return home good as new! Do you want to have relaxing experiences? 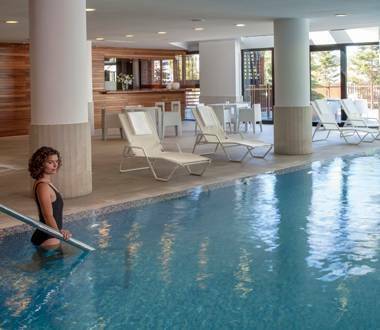 We recommend taking a break from it all and pampering yourself at the spas and health resorts in Andorra. You can try the different treatments and water circuits on offer, whatever takes your fancy. 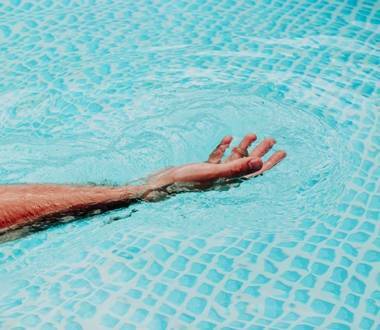 Come and treat your body to the best natural thermal water treatment. What are you waiting for? Find many more places where you can relax: you will be surprised by the wide variety of wellness treatments. If you are going to visit us, choose a hotel with a spa and you shall rest twice as well. If you’re trying to unwind from your daily routine, the wellness centres and spas bring you the best and most up-to-date body treatments. Choose yours! With a wealth of spas, massage and innovative treatments to choose from, Andorra really is a country where relaxation is a way of life. 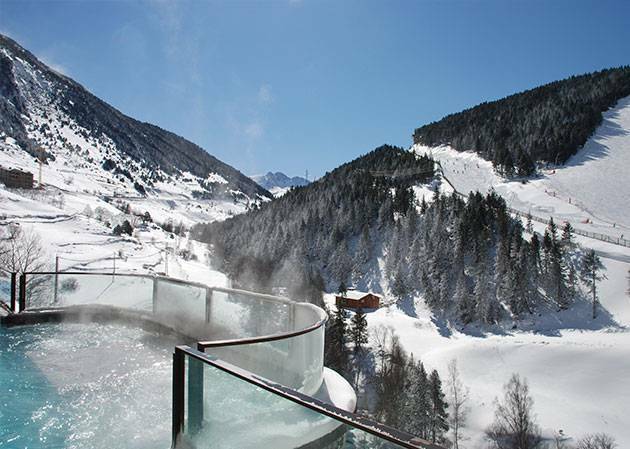 Andorra's top attractions include its numerous spas and wellness centres located all around the country. 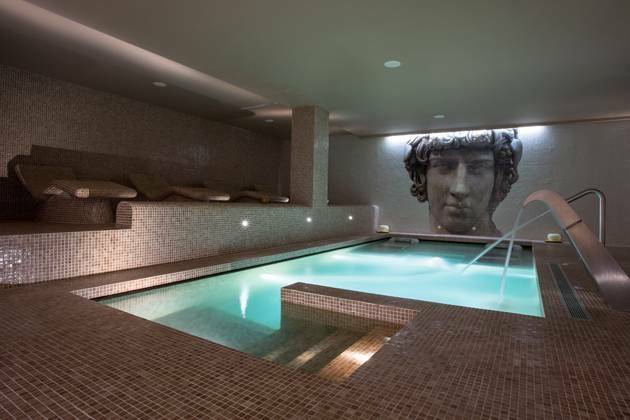 Caldea, Andorra's largest spa and wellness complex opened its doors in 1994 and has since become a centre of international renown. 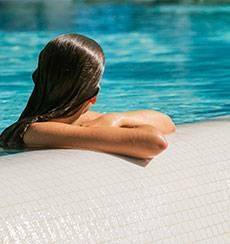 Its innovative concept based on leisure and the relaxing properties of thermal waters attracts people of all ages and from all walks of life. Attractions include sounds and light displays, Indo-Roman, Aztec, Arab and other baths with jets, bubbles, temperature changes etc. Open all year round this is a warm and welcoming place particularly during the winter season. Inside you also have Inúu, a spa only for adults, that complements Caldea with a wide range of body treatments alongside other fitness services, directed activities and a restaurant. 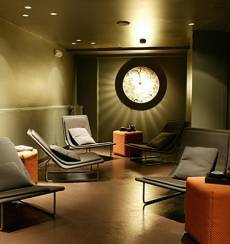 A stay in a spa hotel is another option that is available 365 days a year in Andorra. There are many establishments of this type where you can enjoy a dip in a heated pool, a jacuzzi or sauna and many other amenities all year round. So much to do without having to step outside your hotel! Many of these amenities can also be availed of in the numerous wellness centres in the Principality. Our private centres offer a wide range of body and facial treatments. 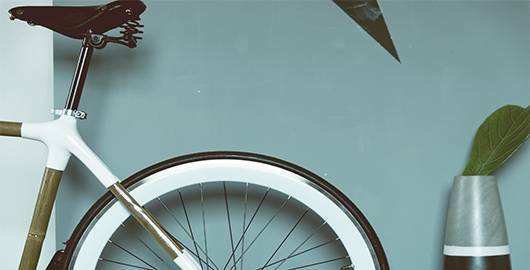 Some are based on the latest technological advances whereas others are inspired by the ancient wisdom of alternative medicine. Choose from all types of massage, aromatherapy, Reiki, reflexology etc. A full list of what is on offer can be accessed on this page. If you thought relaxation was a luxury to be enjoyed by the select few, you will find that in Andorra this is not the case. Our wellness packages are geared towards all types of visitors, regardless of age, taste or budget. 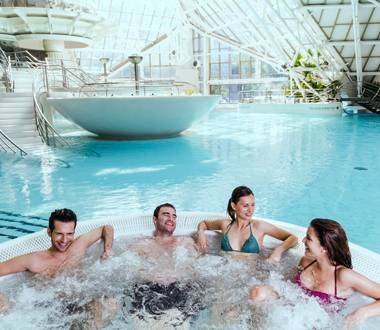 Caldea and many other spas offer promotional packages, which often include overnight stays in hotels, tickets for shows or winter season discounts. The centre's waters offer relaxation and rest to adults while the little ones can have fun in the large thermal spa known as "Likids". With its many jets, bubbles, fun classes and more, this area is specifically designed for children. Many wellness centres offer specialist services of interest to specific types of visitors. For example, a muscle-relaxing massage may be an attractive proposition to skiers and other sportspeople while a couples' massage might be the preferred choice for those on a romantic break in the Principality. And let's not forget the children. Why not get that special 0 to14 year old in your life a Magical Child massage?. Because they deserve it too!